If you’re a entrepreneur, raising capital is undoubtedly a big part of your job. To help female entrepreneurs succeed, some government agencies, nonprofits, and private organizations provide small business grants. Grant competitions are an excellent opportunity for women business owners. These awards are essentially free money that you don’t have pay back, unlike small business loans and credit cards. Some grant options are open to all entrepreneurs and others are targeted specifically at women business owners. Just keep in mind that competition for grants is very high. Very few businesses actually end up winning a grant. But if you know where to look and understand the benefits available, you can put your best foot forward. Here’s a comprehensive guide on the the top small business grants available for women, plus information on how to apply. Do your research. Check out online portals like Grants.gov to identify grants that could be a good fit for your business. Attending small business conferences and chatting with peers in the industry can also be a great way to learn about small business grant opportunities that aren’t widely advertised. Check your eligibility. Most grants have specific eligibility requirements. These rules can relate to demographic, education level, the age of your business, and other factors. Paying attention to these requirements could save you from spending time applying for a grant that might not be the right fit. Apply on time. Block off time in your weekly or monthly schedule to apply for grants for your business. 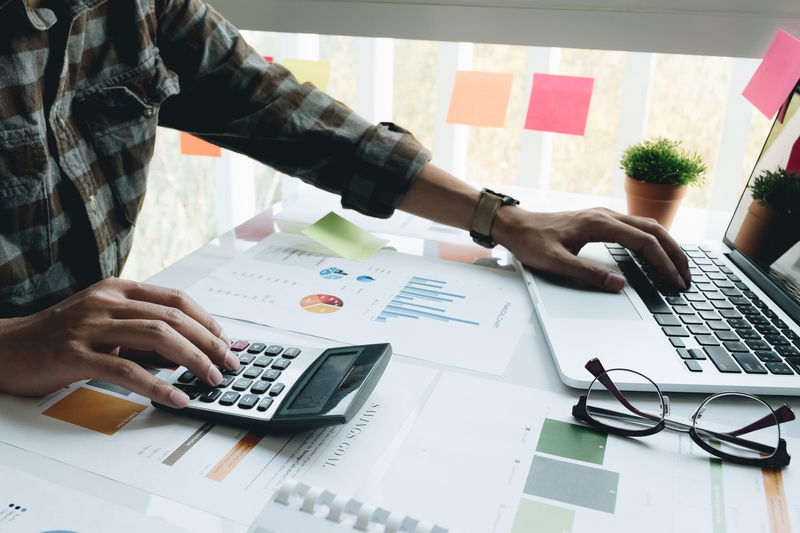 Although it can feel tough to find time to squeeze in applications, the payoff for winning financing for your startup can be huge. Make sure you apply on time to make your application stand out from the pack. Track your applications. Creating a spreadsheet of the grants you have applied for and any upcoming deadlines is a great way to stay organized and motivated throughout the process. Remember, it’s never a good idea to put all your eggs in one basket. In addition to grants, you should consider small business loans for women, venture capital firms, women-only business accelerators, and other funding options that might be relevant to you. Many small business grants are for both men and women business owners. But some are open only to women. The grants and resources below are great options for women entrepreneurs looking for the best funding options available for them. What it is: A database of federally sponsored grants, including grants for small businesses. How to apply: Visit the official government grants website, Grants.gov, and check out their section on grant applicants to see if you are eligible. Potential benefits: Benefits vary across the different types of grants and different government agencies that participate. If you’re looking for federally sponsored grants, the best place to start is Grants.gov. There’s no such thing as women’s small business government grants because all government grants are open to male and female business owners. However, this site serves as a database of all federal grants, including those that are specifically available for small business owners. To search for this type of grant, visit the official government grants website and check out their section for grant applicants to see if you’re eligible. 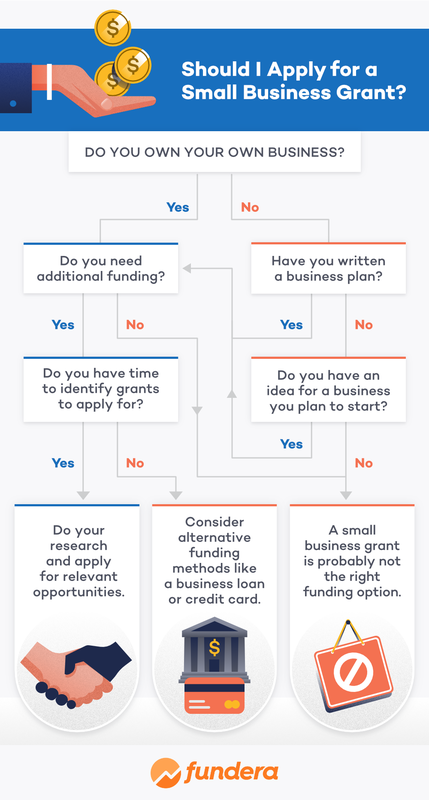 It’s important to note that this database includes a variety of different types of grants, so you may need to sort through different options to find those that are the most relevant to small business owners. Although, as we mentioned, there are no small business grants for women on this site that aren’t also open to men, this site can still serve as a great starting point for women looking for federal grant resources. Over a dozen federal government agencies participate in the database. What it is: These grants are awarded to any small business owner who is a NASE member and can demonstrate a specific need for the money. How to apply: Apply online at NASE website. The National Association for the Self-Employed (NASE) runs an annual grant program that is available only to their 50,000 members. To become a NASE member, you’ll have to pay $120 per year for a basic membership. NASE offers members networking and mentorship resources, discounts on business products, and legislative advocacy. In exchange for membership, members are also offered exclusive access to grants and scholarships. Since 2006, NASE has offered nearly $1 million in grant money to members. To qualify for their Growth Grants program—in addition to being a NASE member—you must demonstrate a specific business need that could be aided by the grant. You must also show how the grant will improve your business’s overall growth and success and include a resume and business plan. What it is: Small business grants for women-owned businesses making positive social and environmental impact. How to apply: Complete the application online. Potential benefits: A maximum of $10,000 per recipient for 10 women-owned businesses each year. Fashion designer Eileen Fisher launched the Eileen Fisher Women-Owned Business Grant Program in in 2004. Today the company awards $100,000 in total grants annually to 10 women-owned businesses beyond the startup stage (maximum $10,000 per recipient). They’ve announced that they will re-launch the grant program in 2019 with new rules. For this award, Eileen Fisher is looking for businesses that have a positive social and environmental impact. For instance, a 2017 grant winner is Bee Downtown. Fifth-generation beekeeper Leigh-Kathryn Bonner partners with local businesses to install and maintain rooftop hives that increase pollination in the area and contribute to a healthy ecosystem. If you’ve been in business for at least three years, you’re eligible for this small business grant for women entrepreneurs. Learn more about eligibility and the application process here. What it is: A small business grant for women business owners created in honor of a young woman who died before she could fulfill her entrepreneurial dreams. How to apply: Tell your story, and pay a $15 application fee. Potential benefits: The program awards one $2,000 grant to a woman business owner each month. One winner will also be awarded an additional $25,000 at the end of the year. The Amber Grant was launched by Womensnet.com in 1998 to honor the memory of a young woman, Amber, who died before she could fulfill her entrepreneurial dreams. The grant was formed to help women entrepreneurs reach their goals when Amber could not. This program awards a $2,000 grant to one qualifying woman business owner each month of the year. One of the monthly qualification grant winners will be awarded an additional $25,000 by the end of the year. These grant awards are small, but can be very helpful for those working to get their business off the ground. Remember, there’s no expectation that this funding will be paid back. The application cut off for each monthly grant is the last of every month, so if you want a shot at winning the Amber Grant you have the opportunity to apply at any time of the year! All you have to do to apply is tell your story and pay a small application fee ($15). You can learn more about the application here. What it is: Small business grant available for anyone who owns their own business or plans to start one. How to apply: Just fill out the free application. Potential benefits: $1,000 grant for small business owners. The IdeaCafe Grant awards a $1,000 micro-grants to one small business owner each year. The application deadline is in January, so apply early! Although the funding isn’t technically a small business grant for women only, the vast majority of the winners have been female entrepreneurs. This is a great grant to apply to if you’re a relatively new startup looking for funding. This grant is also available for those that have an idea for a business but haven’t actively started building it yet. What it is: A biannual grant for female entrepreneurs working in creative industries. How to apply: Fill out the application here and include an example of your work. Potential benefits: A $15,000 grant and online exposure via Girlboss’ site. You may know the Girlboss brand by its leader Sophia Amoruso, the creator of Nasty Gal and now Girlboss’ media empire. Amoruso and Girlboss went on to create the GIRLBOSS Foundation and now awards two small business grants for women entrepreneurs each year. Each small business grant winner receives project funding of $15,000 and online exposure via Girlboss’ site and various digital channels. The Girlboss biannual grant is exclusively open to women business owners in the design, fashion, music, and art industries. Applications are judged by a selection committee made up of Girlboss staffers and led by Sophia Amoruso. Applications are judged on factors like creativity and innovation in the field, business acumen and forward planning, financial need, and proposed work place. What it is: A grant awarded to 18 female entrepreneurs around the globe each year. How to apply: Follow the application instructions here. Potential benefits: All 18 finalists will receive either a first prize of $100,000 and one-on-one mentoring or a second prize of $30,000 in prize money. The Cartier Women’s Initiative Award is awarded once a year to 21 female entrepreneurs around the world. The Cartier award grant is intended for women business owners in the early stages of development of their business (between one to three years old). The business should be generating revenues, but need not be profitable. The top seven finalists will win $100,000 and one-to-one business mentoring from an expert that Cartier finds for you. The remaining 14 applicants will win a $30,000 prize. Each of the 21 small business grant award finalists will receive a spot in the INSEAD Social Entrepreneurship 6-Day Executive Program (ISEP), as well as the opportunity to participate in entrepreneurship workshops, business coaching seminars, and networking opportunities. What it is: Database of opportunities for women across industries. How to apply: Use the database to identify relevant opportunities and follow their application instructions. Potential benefits: Benefits vary with each opportunity. If you’re looking for a comprehensive resource for grants for women, Grantsforwomen.org is a great resource. Grants and Scholarships for Women is actually a database found at GrantsforWomen.org. You can search for scholarship opportunities and grants for women, but be forewarned—most are for non-business purposes. What it is: Business grants for small businesses. How to apply: Follow the application rules here. Potential benefits: Ten winners will receive grants for their businesses and free FedEx printing and business services. Although the FedEx Small Business Grant isn’t technically a small business grant for women entrepreneurs only, women small business owners are encouraged to apply. In fact, the very first prize winner of the FedEx Small Business Grant was a woman: Nicole Snow, Founder and CEO of Darn Good Yarn. Since 2013, FedEx’s grant has awarded $250,000 in small business grants to entrepreneurs all over the country. Each year, 10 winners receive funding from FedEx. One winner receives a grand prize $25,000 plus $7,500 in FedEx services, one winner receives a silver prize of $15,000 plus $5,000 in FedEx services, and eight winners earn a bronze prize of $7,500 plus $1,000 in printing services. What it is: Small business grant for women entrepreneurs in the jewelry industry. How to apply: Submit a portfolio and answer a series of questions outlining a business plan. Potential benefits: A cash grant of $7,500 plus $1,000 toward Halstead jewelry supplies. The Halstead Grant started in 2006 as a small business grant for women entrepreneurs specifically in the jewelry industry. The grant is awarded to emerging female jewelry designers in the United States—specifically geared toward businesses under three years old. Those that apply should be prepared to answer a series of questions about their business goals and strategies. Winners are awarded a $7,500 cash grant, $1,000 toward Halstead jewelry supplies, and publicity within the jewelry industry. The good news is that even those applicants who don’t win will receive general feedback on their business plan from the judges. What it is: An organization that provides grants toward women-backed projects that promote gender, racial, and economic justice. How to apply: Follow the instructions found here. Potential benefits: The organization provides $2,000 to eligible projects that have limited access to financial resources. The Open Meadows Foundation is an organization that provides grants toward women-backed projects that promote gender, racial, and economic justice. Applicants must be women and the businesses must benefit women and girls. The grant provides $2,000 to eligible projects that have limited access to financial resources to grow. Specifically, Open Meadows only considers organizations that have $75,000 or less in budget resources. This grant is a great opportunity for those who have just started a business or are in midst of starting a business. When you’re searching for the best small business grants for women, be sure to check out the above options. They’ve all been around for some time now, and have helped female entrepreneurs reach their business funding goals time after time. But when you’re seeking a grant, watch out for scams. If you’re asked to pay money or sign up for some kind of subscription to access a listing of small business grants for women, beware. The grants we’ve mentioned above are open to businesses nationwide, but there might also be state and local options. For example, Zions Bank offers six $3,000 grants each year to Idaho and Utah-based women-owned businesses that empower women or benefit underserved populations. When starting or expanding your business, make an appointment with your local Small Business Development Center (SBDC) or SCORE office. These organizations are plugged into the local financing community and will be able to guide you if there are any small business grants for women in your area from local corporations, philanthropic, or economic development organizations. You might also want to look into SBA loans, which are affordable business loans for small business owners. The SBA has always been a champion of women-owned small businesses, and they have extensive resources available for female entrepreneurs (SCORE is actually a partner of the SBA). Still unsure if a grant is the right choice? We’ve included a helpful flowchart below to see if you’re ready to take the next step to entrepreneurship! It might seem like there aren’t a ton of small business grants available for women to start or grow a business, but the 11 options above should give you a good head start. Plus, if you add in state and local grant options for women business owners, you should have a sizable number of grants to apply for. Whichever grants you apply for, make sure you do careful research into the eligibility requirements and submit your application on time. If grants don’t work out for you or if you need additional funding, make sure you explore your other funding options. Are Credit Unions a Good Place to Find a Business Loan?